Being in a union is something you do rather than something you are? Unions should be about more than credit card deals and discount vouchers? It’s time to stand up and be counted? To get organised and get things done? 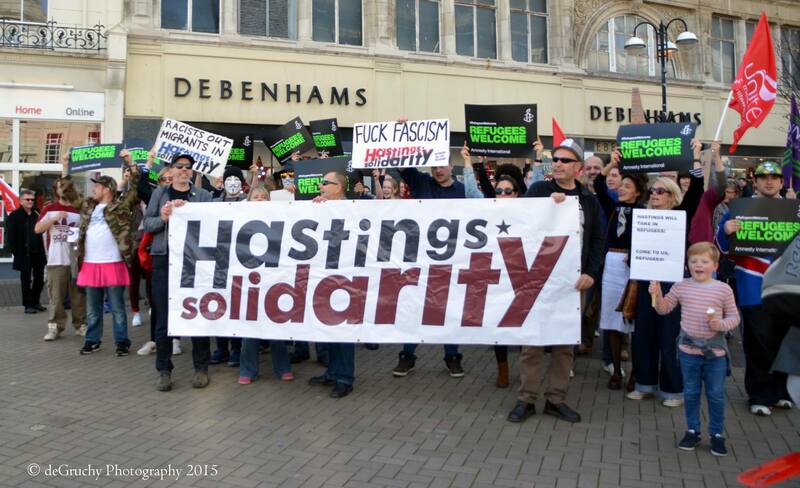 To provide support and solidarity to people in Hastings? To work with members in other unions, other workplaces and those without a workplace? 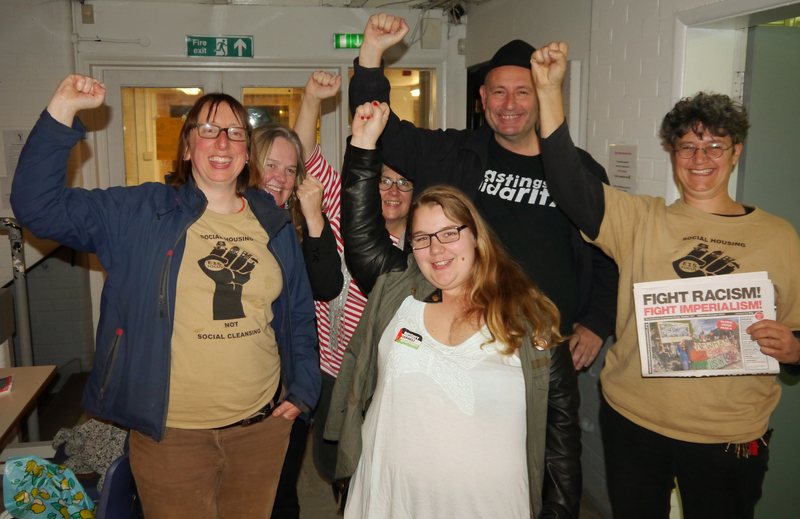 Hastings Unite Community and Hastings Solidarity have been working with local people to organise a grassroots local union over the past six months. During this process we have found that a number of people who are keen to get involved in union activity are isolated in inactive local branches. There are many different union branches in many different sectors across Hastings – with perhaps one or two active members in each. This could potentially add up to a lot of people who want to get involved but who need inspiration, encouragement or perhaps just a fresh start. We would like to see what could happen if we reached out to all those isolated activists and brought everyone together to discuss how we can co-ordinate and support each other – and to support workers in sectors with very low union membership to organise and build. This is a practical project, not a talking shop. We’re suggesting that we talk about how you can be an active part of your own union but at the same time working with other union members for solidarity across workplaces, sectors and unions. It’s about building a network of union activists who want to make real change in Hastings. 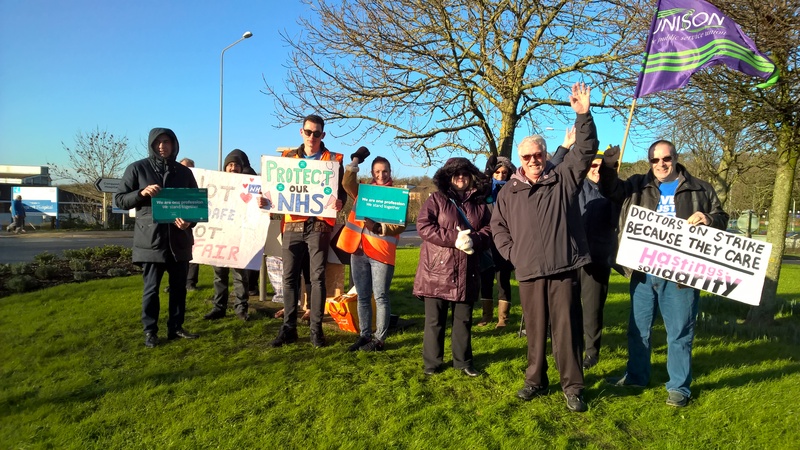 Hastings Solidarity has been organising actions to support the junior doctors on strike at the Conquest Hosital. 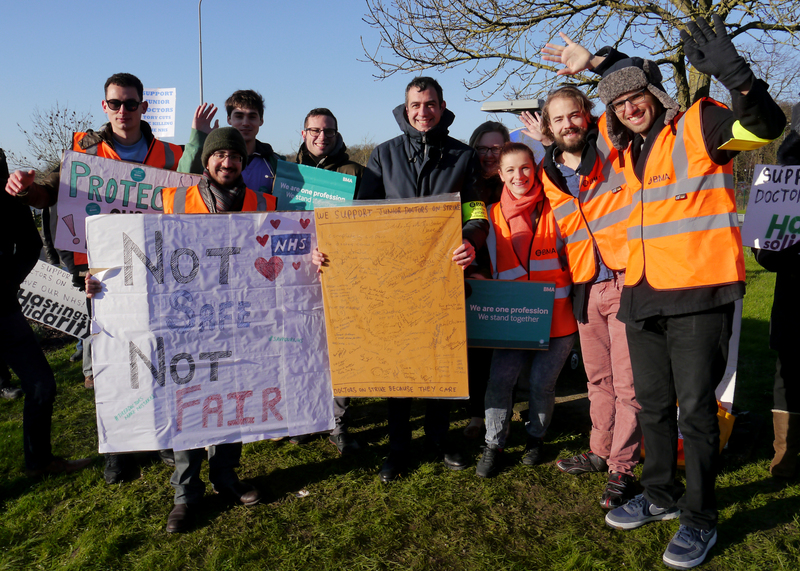 Before the January strike day we set up a stall in Hastings with help from members of Unite and Unite Community and asked people to leave messages of support on two giant cards – in the space of an hour we collected nearly 200 signatures! 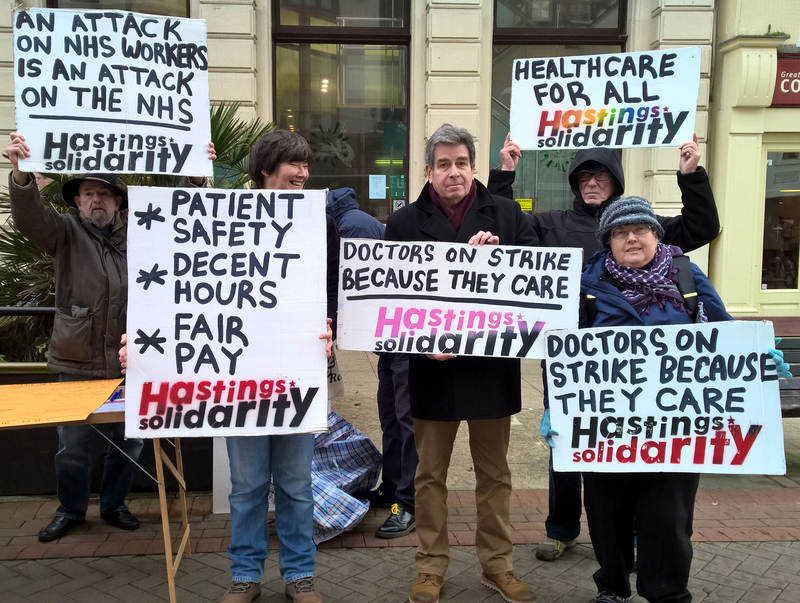 Then we took the cards up to the picket line on 12 January to show the junior doctors that Hastings supports them. There was a good turnout in the bitterly cold wind, with lots of support from people driving past. The doctors said that it really inspired them and they’re going to put the cards up in the Doctors’ Mess at the hospital so everyone can see. We made some good links and shared ideas for the next strike day. Solidarity in action! 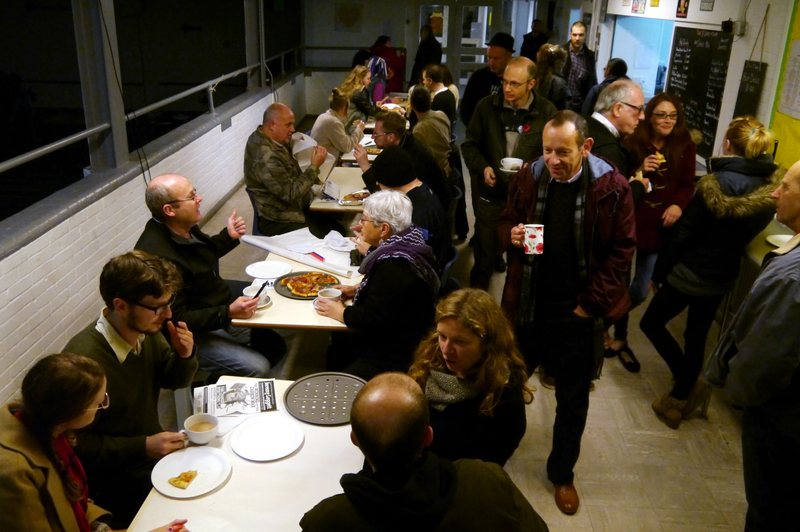 The “Changing Hastings Together” public meeting on 11 November 2015 was a great success with about 70 people attending. The meeting was very different from the usual style of these events with the speeches kept short so that the main focus was on getting together and talking with each other (over pizza). 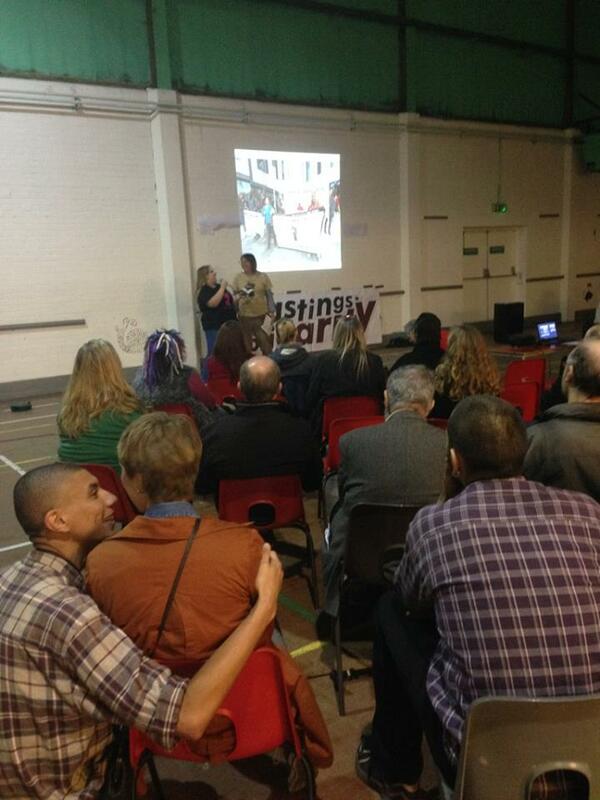 The speakers from the Focus E15 Campaign were fantastic and they got a great reception from everyone in the hall. Loulou summed up the evening in her speech: “This meeting is about finding the best ways to work together and about building networks of support and communication. So we all know what’s going on in our town. So we can amplify our struggles and make them more visible. So we know we can rely on each other. So that when we leave here we have started to build a way to change things. Together.” A large number of people stayed after the speeches and there were some really interesting ideas generated in the discussions and lots of new connections made between people and groups. There was a good crowd – especially considering we were up against Noel Fielding, an exclusive film screening at the Observer Building and one of Hastings’ biggest union branch meetings – that’s not bad going. Thanks to all the speakers and everyone who helped with the meeting – from setting out the chairs to cooking the pizza to tidying up afterwards. It felt like a properly collective event. 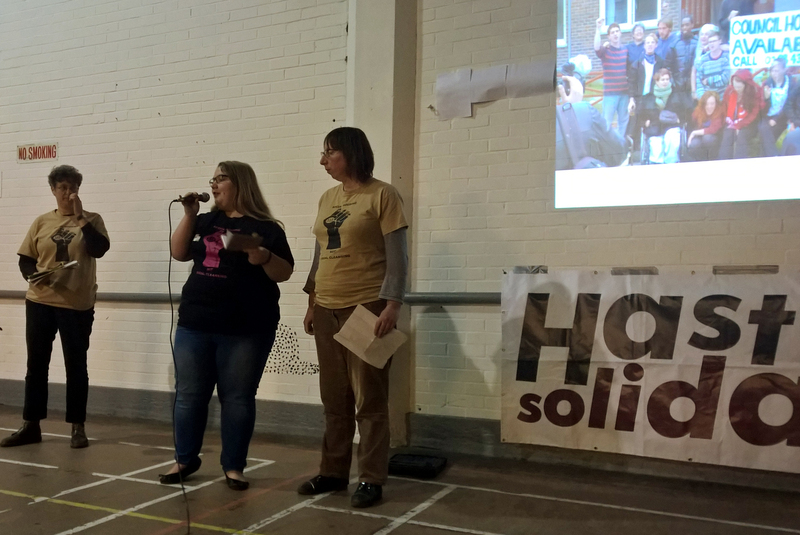 We collected up the huge number of ideas and issues generated from the discussion and took them to our regular Hastings Solidarity meeting to see what we do next with them and these ideas will feed into our activity for the next few months. The meeting is open to everyone who wants to get involved in making real change in Hastings. The idea of the evening is to explore how the people of Hastings can build networks of support and communication so we can provide practical help for each other. Unlike a lot of boring political meetings, this is going to be a lively evening of music, films, short speeches and conversations – with free pizza! There will be speakers from Hastings Solidarity and the Focus E15 campaign. Please come along on the night – and pass on the information to as many people as you can. If you have a mailing list or Facebook page please forward this email on. There will also be a number of stalls from local community groups (If you would also like a stall please let us know). Housing problems? Low pay? Tax credit cuts? Sanctions? Cuts to jobs or services? Gentrification? Something else?